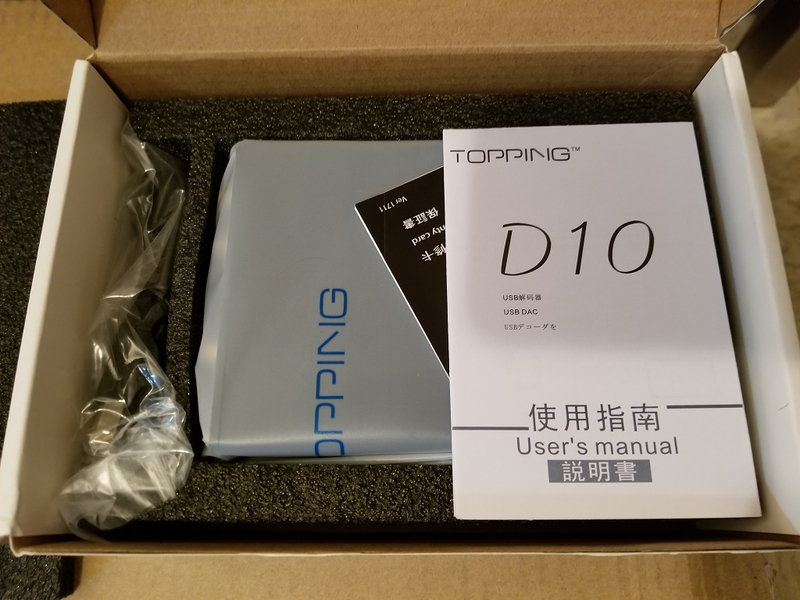 I just ordered the Topping D10 mini USB DAC, for my PC rig. It checks all the boxes of small formfactor, USB powered, and impressive specs. Listening impressions/review once it arrives! Nice... their products look well Engineered for the cost. I don't know anything about their stuff, but I agree the price was right. Slightly questioning the "VFL-style" display because it just seems like something that would potentially add noise. I'll let you know if I can detect any high pitched noise coming from the VFL screen! But I primarily meant internal "noise" added by the display simply being on. Kinda like how Marantz has the ability on several of their high end CD players to turn off the display. Specs are pretty much meaningless. The sound is what counts. 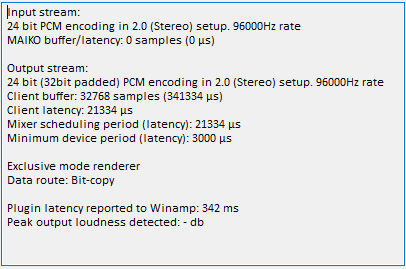 I am curious why you went with a hi-res component when you play 320kbps mp3's? I fed a stray cat once. And that mother ******* just kept coming back. I have a variety of digital music files stored in my collection across various file formats, bit depths and sample rates. I am curious why you went with a hi-res component when you play 320kbps mp3's? Yet initially you did the review on the other dac with mp3's. 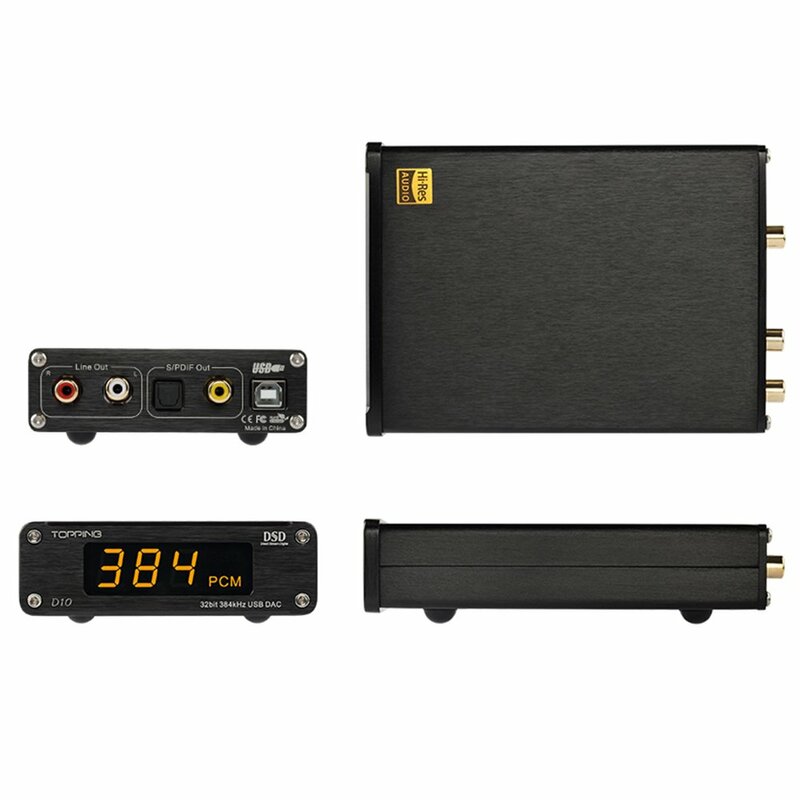 Also don't expect a $90 dac to really knock your socks off. But I'm not the one who has to listen to said rig. 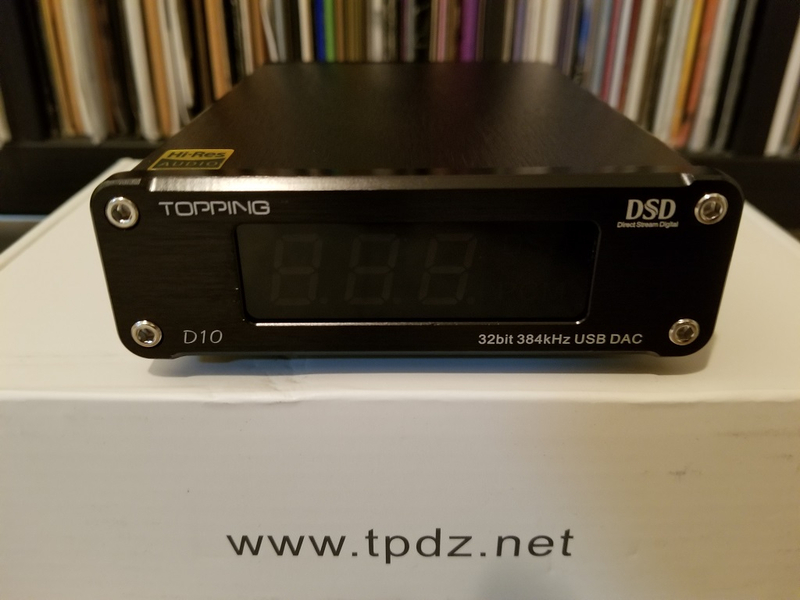 It will definitely be fun to review this DAC! I don't have any expectations or preconceived notions, I'm going into this with an open mind. Interestingly enough, it uses the same ESS chip that's used in several high end DACs including the North Star Designs Excelsio ($2,300) and Supremo ($3,000). Obviously this doesn't really mean anything, since the implementation of the chipset is very important. Would be exciting to test them head to head though! Also don't expect a $90 dac to really knock your socks off. ...and the analog stage. I hope you enjoy it bud. I'll keep my thoughts to myself, at least until you've given it a fair shake. Obviously this doesn't really mean anything, since the implementation of the chipset is very important. That's one thing you got right. Let us know what your ears tell you. Let us know what you think of it for sure! Sadly (and I'll admit this here) I've bought a fair amount of [email protected] over the years by applying that logic. Initial listening is happening now. First impressions to follow! 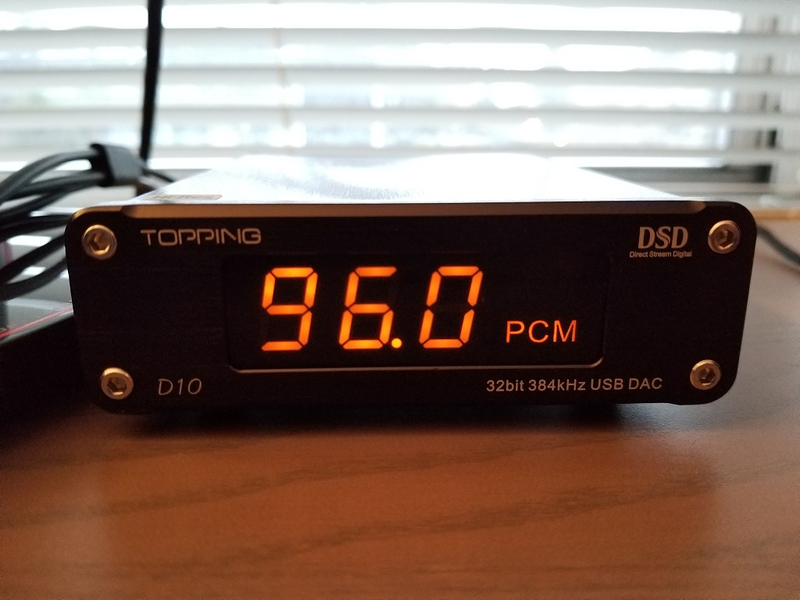 Ok, so before I even get into listening impressions, let's talk about that VFD style screen. It runs at a refresh rate that is visible to the eye when you affix your eyes on it and then rapidly move your head from side to side, or when you look at the screen and then blink your eyes a few times. Doing these things allows you to see the flicker/refresh of the screen. It's a slight detail, but still would've been nice if they made the refresh faster so that you couldn't see the slight flicker under certain circumstances. Not a deal killer by any means, but just means that when I find a final place for it, I might put it so that I can't see the screen. No humming or high frequency buzz from it at least! @DSkip - You have some gear that uses VFD style screens, right? Your North Star CDP and DAC have similar displays. Ever notice that you can detect the flicker/refresh rate when doing what I described above? 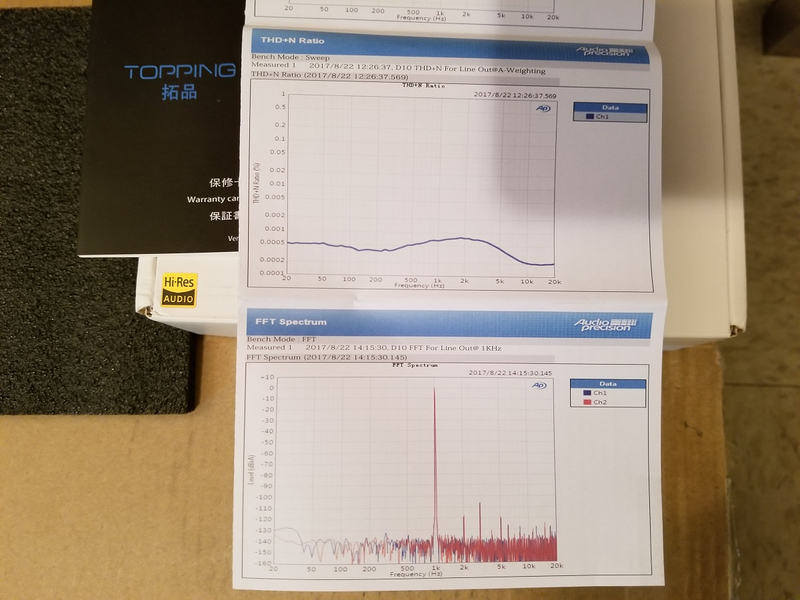 Do you expect to be moving your head this way while using the DAC? Makes me dizzy just thinking about it. no, not at all. But still, even sometimes when you just quickly glance down at it after looking at the monitor, you can catch a glimpse of the flicker. Just trying to be thorough with my review! Oi.....close yer eyes whilst hearing the sounds. To hear music, at times you have to separate from the components you at trying to hear it through. Clippers.........stop listening to the gear....just listen to what it is trying to do to help you hear that music. If I close my eyes I can't listen and post on Club Polk at the same time! It's only the first day of listening, and it's raining heavily here so my noise floor is already raised from the white noise background. Plus my cat is inside sleeping near me, don't wanna play stuff too loud and bother him. This has to be one of the most ridiculous complaints I think I’ve ever heard! It’s 89$ dude! Did you return the other one? Shrug. I'm sensitive to refresh rates. I use a 144hz refresh rate LCD on my computer FFS. Edit: Is it really one of the most ridiculous complaints you've EVER heard? Personally I wouldn't call certain individuals being more sensitive than others to visual stimulus in their immediate vicinity "ridiculous". 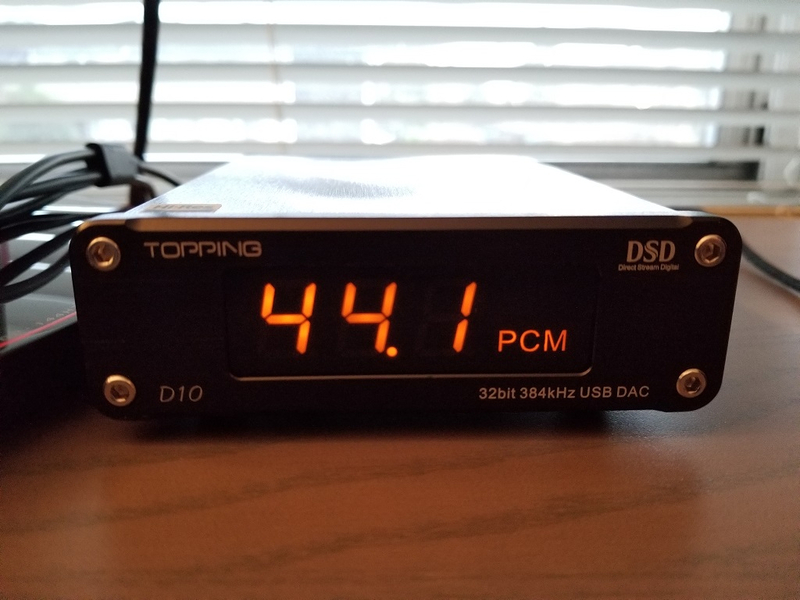 I'm still gathering my thoughts and notes for listening impressions and details, but I'll likely be keeping this DAC. I'm liking what I am hearing so far. Popcorn Pug is too exhausted to make an appearance in this thread. @Clipdat when I move my head like that I hear a rattling sound a milk shoots out of my nose, and I don't drink milk. Lactose intolerant and all that. I hate cows. Anyway it is quite distracting from the music so you should stop doing it even if milk doesn't shoot out of your nose.